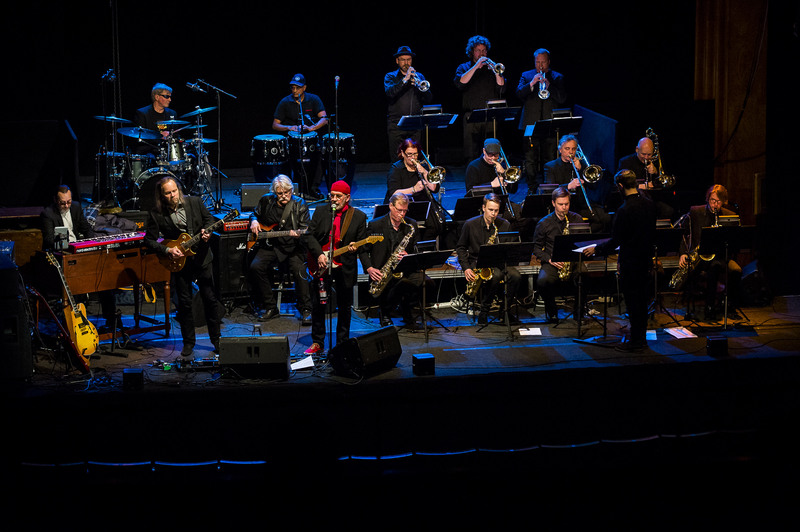 This is a story that reaches over 4 decades of a group called St Marcus Blues Band, born in a small town called Jakobstad/Pietarsaari on the Finnish west coast. The first steps were taken in the beginning of the 60’s with friends meeting and a common interest for making music developed. Listening to radio stations like Radio Luxembourg and P3 from Sweden was hot, and bands like Rolling Stones, Yardbirds and Pretty Things were the “real thing”. The first gig was in 1964, under the name “The Things”. The young guys playing were Hannu “Svea” Lindblom on guitar and vocals, Markku “ Löke” Lönngren on guitar, Kari Öhman on bass and Hasse Tiihonen on drums. Among the songs played were “Off the hook”, “For your love” and “Mama, keep your big mouth shut”. 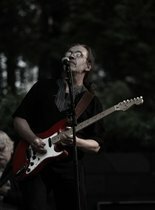 After a split of the group Hannu played guitars with the “Pee Wees” from Kokkola. 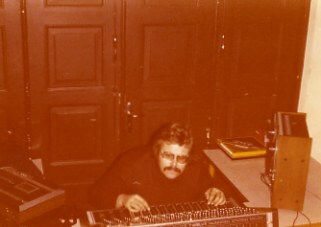 Markku stayed in Jakobstad with the “Black sheep”, pop-songs of the period were on the menu. 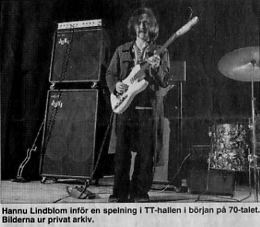 In 1966 Lindblom, Lönngren and Tiihonen got together again. Markku switched from guitar to bass. 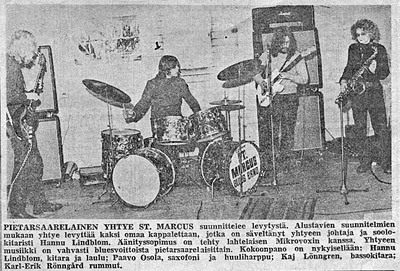 The trio would play rock and blues and the band St Marcus Blues band was born. Songs by Fleetwood Mac, John Mayall like “Pretty Woman”, “All your love” and “Long grey mare” were on the repertoire, and are still today. 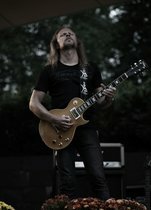 That same year Timo Leppänen joined as a manager – roadie – bodyguard – driver and sound-engineer. A Volkswagen kleinbus was bought to be used for gigs. The group toured Finland from north to south. In the beginning of the 60’s the finnish radio-channels did not play much rock music so living on the west coast was an advantage as P3 from Sweden could be heard here. In 1968 the band was signed for a gig with a Swedish travelling-‘circus’- company performing in Jakobstad and in need of an orchestra. Hasse Tiihonen left with another group on a tour that came to last twenty years. The rest of the band members joined for the summer tour in Sweden. Leif “Lefa” Andersson from PeeWees joined on drums. The tour lasted for 2 months from Kiruna in the north to Kivik market in the south. Among other guest artists on the tour were Pugh Rogefeldt, Family Four, Sylvia Wrethammar and Anita Lindblom. 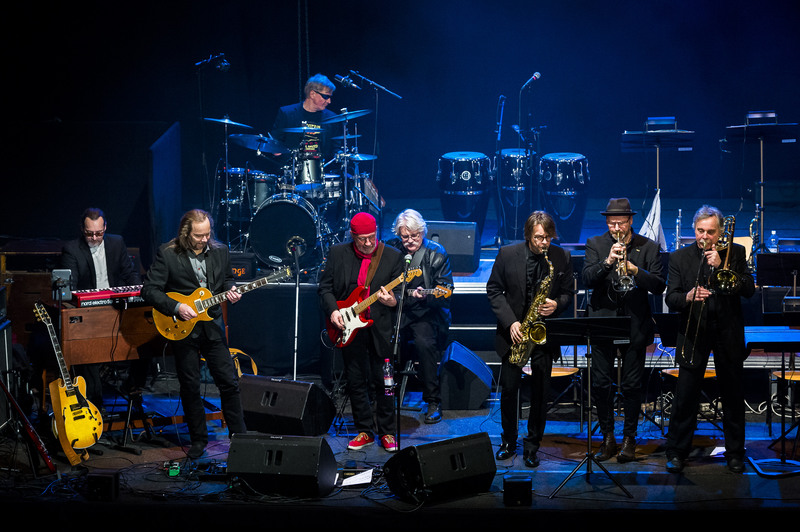 In the autumn Paavo Osola, saxophone and keyboards and Karl-Erik”Kallu” Rönngård on drums joined the band. When ”Kallu”, who played in the band from 1968 to 1975, later moved to Sweden he played in groups like Peps Persson blodsband and Blues Bag, he also kept the beat in Dreadline, a reggae band from Jakobstad. 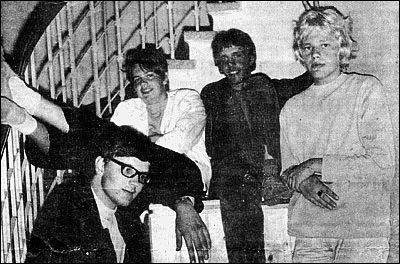 After the youngsters had completed their military service in 1972 a new project with Hannu Lindblom, Markku Lönngren Karl-Erik Rönngård and the new member Jukka ”Juki” Halttunen saw the daylight, the name was changed to FANTASIA. The group was also joined by Roul Helander on electric violin and piano. The music was “home-made” prog-rock and practised almost every evening in the bands rehearsal place. 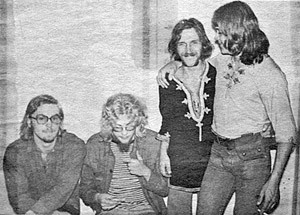 1974 became a historical year for Fantasia by winning the Finish Rock competition; Hannu on guitar and vocals, Roul; violin and piano, Kallu on drums and the new on the bass was Harri Piha. Next year a Russian tour was made in Leningrad, Riga and Moscow. That same year the only Fantasia record was released, on Hi-hat records and simply called “Fantasia”. This LP is “hot stuff” among LP collectors. 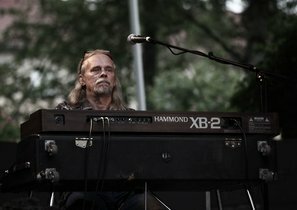 In the 80’s and 90’s St Marcus Bluesband, lead by Hannu Lindblom, appeared in different groupings, Thomas”Tumba”Lindström; drums and Paavo Osola; keyboards were the basic members of STMBB. 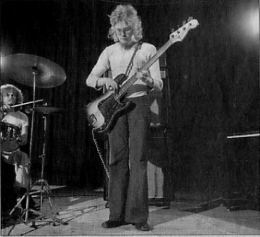 Bassplayers were often changed and among others Roul Helander, Ari-Matti Lepistö and Ulf Fagerholm took turns in the team. In the year 2000 a new chapter in the STMBB history was written. 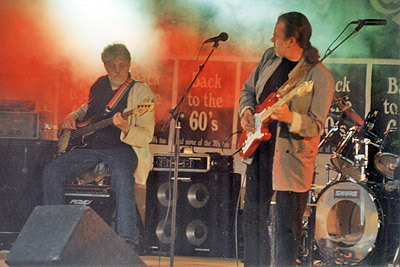 Original bass player “Löke” joined and new members were Simo Vasanoja; keyboards and vocals, Göran Fellman; guitar (also known from heavy band Stormwing), and the experienced drummer Jan”Nani”Stenhäll. In 2002 the original drummer Hasse Tiihonen moved back home and got behind the drums. 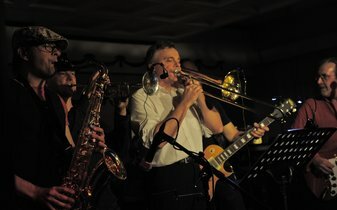 A hornsection was added during winter 2003 — Conny Sundman, Rickard Slotte and Ilkka Ekdahl were playing. 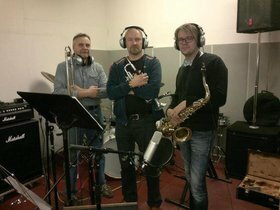 Changes took place in 2006 and "horny horns" were now Conny Sundman; sax, Jan-Anders Fagerhed; trumpet and Torvald Lund on trombone. In the summer of 2008 Conny Sundman joined Vasa Militärmusikkår, and was replaced by Markus Kaikkonen. 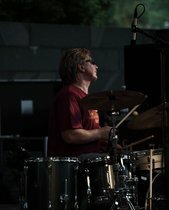 In the beginning of 2005 Hasse Tiihonen left the drummer seat because of illness, and the old StMBB / Fantasia drummer from the 70 – 90’s Thomas “Tumba” Lindström got back in business. The record ”Two sides” released 2007/2008, got good reviews in media and more gigs were booked. 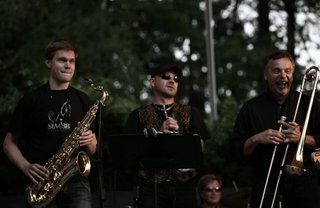 The group stayed intact until beginning of 2011, when Sebastian Back took the saxplayers role. The initial thoughts for demorecord in 2004 soon spun out of hand into a longplay project. New material was produced continuously and the recording which consumed both time and power. This is also why STMBB seldom had time for gigs during the years 2004 – 2006. The CD was recorded in the bands “Bunker”-studio, mixed at Perfect studio and the mastering took place at Finnvox. STMBB was trying to reach the old ‘garage-sound’ by near mono-mixing and skipping finetuning of the so called sonic barrier (sound barrier). The recording of the base was done with most of the band at one time, only the horns were added later. There has been no instrumental or singing add-ons, nor any extra effect apart from a small amount of reverb. In other words the STMBB sound on the record is as close to ‘live’ as it can be. The pictures on the CD cover were taken already in 1993 on Åsbacka road, then meant for the band-poster. The idea behind the picture came from Hannu Linblom and Joni Still took the photos. 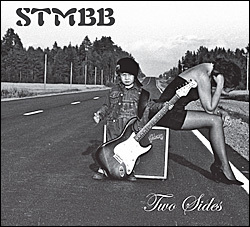 The print on the CD itself comes from the first STMBB poster from 1968. The recording was financed by STMBB and a record company with administrative competence and good contacts to different distributor was chosen. 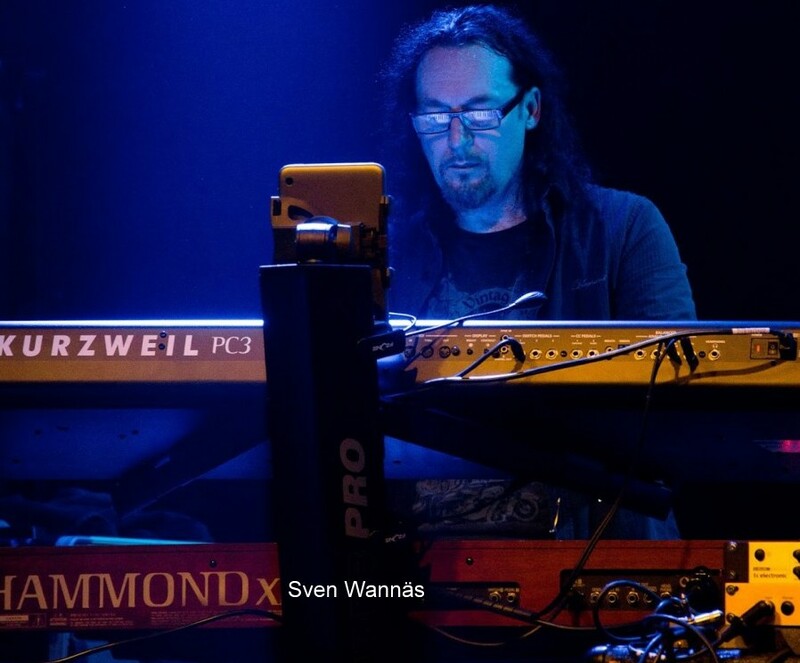 Autumn 2015 Keyboardplayer Sven Wannäs replaces Simo Vasanoja. 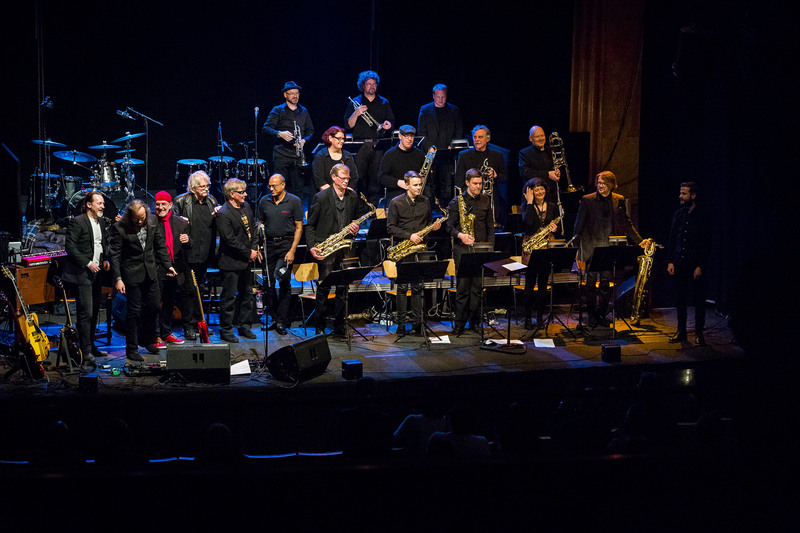 In 2017 St.Marcus Bluesband celebrates "50 years one the road" in concerts together with Jakob Big Band. and … this is only the beginning!